A 30th birthday is a tremendous milestone. You've successfully navigated through your teens and twenties, have hopefully found your career path, and have established a firm sense of identity away from that of your family. No easy feat indeed. 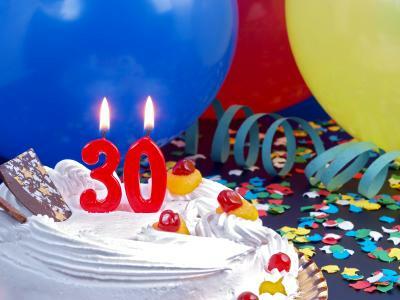 Turning 30 is a great time in life for many people, so you should make sure you mark this momentous occasion in life with a fabulous party perfectly suited to your personality. Celebrate everything you've accomplished so far in your life by throwing yourself a party that is for you. Analyze your personality to discover what will most authentically honor this special day. Begin by deciding where you lie in this personality table. You may fall into one of the three categories below or some combination of all three. Happiest Alone There is no need to hide or be ashamed of the fact that you like to be alone. Some people are most comfortable with their own company and truly enjoy delving deeply into themselves. Take note if this category fits you best. Comfortable With Close Family and Friends While some loathe to be alone they also find themselves shying away from large crowds. These folks feel best when enjoying the company of close friends and family. Love Large Groups of People Others are most comfortable with large groups of people, and choose instead to share their happiness with as many people as possible. As such, they prefer to be with large crowds when celebrating. 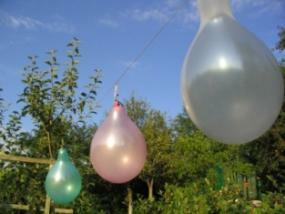 Once you've taken your personality into account, it's easier to come up with ideas for your birthday party. Find one that matches up with your personality, or consider moving outside your comfort zone for something a little different on your 30th birthday. Rent out a restaurant or small bar, and invite 50 of your closest neighbors, co-workers, friends and family members for a memorable night of fun. Up the surprise quotient for yourself by selecting a trusted friend or family member to plan the details of your big day. That way, all you have to do is show up and enjoy yourself. Hold your party at an amusement park like Great Adventure. What could be better than feeling like a little kid all over again? This also helps if you feel as if you've lost your enthusiasm for life. Nothing helps you rediscover that enthusiasm better than looking at the world through child-like eyes. Ask the current principal of your old high school if he or she would allow you to throw a party on the football field or in the school gymnasium. Throw a feng shui party, and feng shui your life. Research different feng shui methods, and ask your invited guests to bring gifts that are reflective of feng shui items like a lucky bamboo plant or a Buddha necklace. Change your entire look by getting a compete makeover. If you've grown bored with your current style, scour popular magazines for ideas on how to wear your hair and makeup. Continue your metamorphosis buy adding some new key pieces to your wardrobe. On your big day, you can debut the fabulous new you to close family and friends. Create an inspirational board to celebrate your new year. Cut out pictures from magazines, newspapers and books, and paste them collage style on a beautifully framed board. Place the board in a prominent location in your house, so that you can see it daily. Doing so will remind you of the things you want, and are working for this year. Take a trip to an awe inspiring place like the Grand Canyon. Take plenty of photos and create a birthday diary. You may love looking back on your photo journal so much that you decide to make it a yearly event. Of course, you'll need to invite people to help you celebrate this milestone, and invitatons will help you do just that. 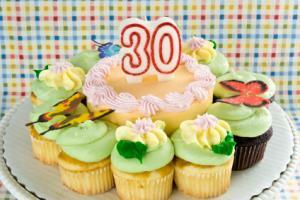 The following websites offer a great selection of 30th birthday theme invitations. Look for a set that truly suits your personality. The key to a happy birthday is to really think about who you are, and then have a birthday celebration that truly reflects that sense of self. Many people have been the center of attention at a surprise birthday, only to feel completely alone in the crowd. There is only one 30th birthday, and it behooves you to consider who you have evolved into and who you are now. This way, when you see photos or videos of this special day, you'll be filled with warm, happy memories.